Bilal Gilani is the Executive Director of Gallup Pakistan, the most prestigious survey research organization in the country. 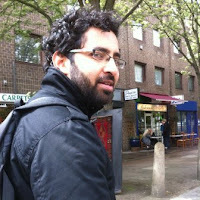 Mr. Gilani studied Social Science at LUMS and International Politics at the School of Oriental and African Studies. As Executive Director of Gallup, he has conducted research on the justice sector for various clients including the World Justice Project. For over one decade, Mr. Gilani has been carrying empirical research on Pakistan.using the highest global standards of social science research. He strongly believes that better public policy in any area of life cannot be created with first generating a more empirically informed discourse. He is therefore using vast data warehouse available at Gallup Pakistan to generate a better understanding about the justice needs of Pakistani citizen and the challenges faced by legal system. (c) The Law and Policy Chambers (2016). Travel theme. Powered by Blogger.